Several years ago, many Los Angeles residents were thrilled to learn that their newest neighbor was a young mountain lion. 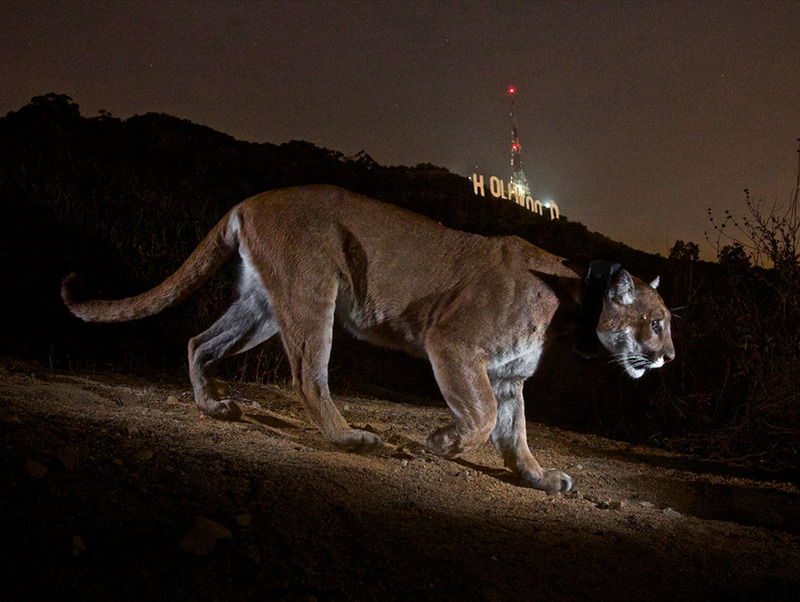 Labeled P-22 by researchers, the cougar was prowling around Griffith Park at night hunting for deer. Griffith Park is where, perched high on a hillside, sits the iconic HOLLYWOOD sign, the symbol for all the world of countless fantasies created by the film industry based in Southern California for the last century. P-22, just two years old when he first appeared, had somehow managed to survive the harrowing crossing of two of Southern California’s most immense and intense freeways – Interstate 405 and U.S. 101 – in his journey across the Santa Monica Mountains. Freeways like these of course are death zones for wildlife. They are clogged almost 24-7 by cavalries of cars and trucks traveling at 60 mph (or more): hundreds of thousands of two-ton, insensate, hurtling metal and hard rubber that will crush the bones and deliver death swiftly to any living creature hapless enough to get caught in the volley of vehicles. P-22’s amazing story is recounted with genuine affection and awe by Beth Pratt-Bergstrom in her new book When Mountain Lions Are Neighbors: People and Wildlife Working It Out in California. 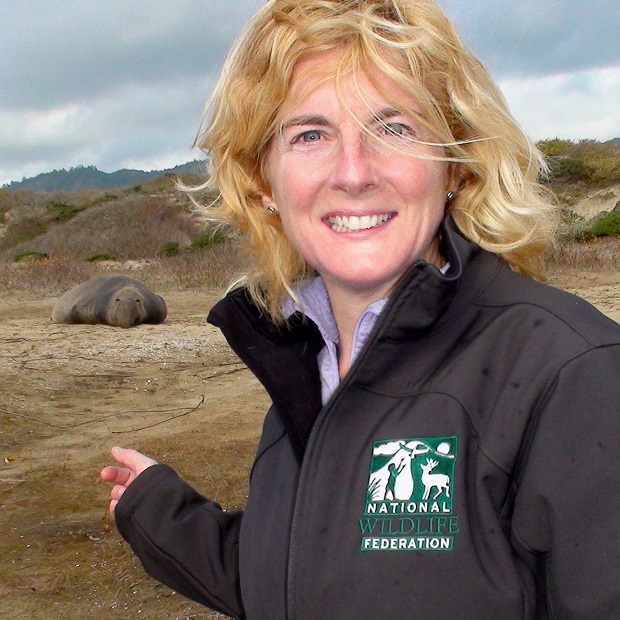 Pratt-Bergstrom is the California Director of the National Wildlife Federation (NWF). When Mountain Lions are Neighbors is a heartwarming look at Californians’ continuing love affair with their wildlife. NWF has long promoted wildlife-friendly yards, gardens and neighborhoods. The enthusiasm for these topics extends to the community wildlife habitat certification program NWF created. NWF, headquartered in Reston, Virginia, where I now live, is the very first conservation organization I joined as an eager young conservationist, some 45 years ago. For decades I subscribed to, read religiously and enjoyed the beautiful photography of its flagship publications National Wildlife and International Wildlife. I only stopped supporting NWF, like I stopped supporting virtually every major national environmental group, because they would not actively endorse U.S. population stabilization, which for me and other environmental scientists is an absolute conservation imperative, the sine qua non of ecological sustainability. With my limited stock of donor dollars, I began to support only those few smaller organizations that did back U.S. population stabilization. When Mountain Lions are Neighbors is a book filled with compassion and hope. It acknowledges that California’s massive human population boom and associated development and pollution have been terrible for wildlife. But appropriately, I think, it focuses on the fact that some wild critters have managed not just to linger, but to recover or even thrive in California’s sprawling suburbs, congested waterways and bustling IT campuses. As for myself, I will never forget the sight of a coyote trotting nonchalantly through our neighborhood within a hundred yards of my Yorba Linda townhouse, in California’s densely populated Orange County. Nearby Chino Hills State Park served as sanctuary not just for coyotes but even cougars. And stumbling across the occasional remains of cats they preyed upon was additional proof of these predators’ presence. These denizens of the wild do much better when they have the active support and engagement of their human neighbors. And for these selfsame human neighbors their presence is tonic for the soul. It is truly inspirational and sometimes life-changing to have wild animals in our midst, surviving by their own wits and time-tested evolutionary adaptations and strategies. “Like Los Angeles’ Griffith Park, the bay seems more an extension of the city than an ecosystem, merely a scenic vista to photograph or a place for recreational activities. Since we are taught to think of nature as existing only in pristine settings, a shipping barge the size of a house suggests not-nature to us. “But if it’s good enough for harbor porpoises, it’s nature. Back in 2007, the California Department of Fish and Game released the comprehensive report, California Wildlife: Conservation Challenges. While it noted proudly that California is the “wildlife state,” with more species of wild animals than any other, as well as the greatest number of endemics (those found in no other state), Conservation Challenges likewise emphasized that this extraordinary biodiversity is stressed by the ever-expanding infrastructure and facilities needed to accommodate the state’s large human population and further imperiled by continuing rapid population growth and associated development. More than 800 species of wildlife in California are now at risk – including half of all mammals and one-third of all birds. Of these, 134 species are listed as threatened or endangered, that is, facing a real possibility of extirpation from the state or extinction altogether. 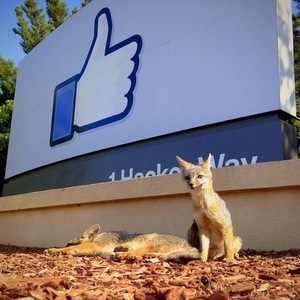 These are grim realities that cannot be obscured by feel-good, warm-and-fuzzy stories about Mark Zuckerberg’s tweets concerning the adorable gray foxes that have found a home at Facebook’s Menlo Park campus or rice farmers who share their fields with sandhill cranes. Yet When Mountain Lions are Neighbors makes an exceedingly important point – again and again, with example after example – that much can and is being done to act as good neighbors to our wild brethren. Pratt-Bergstrom also shows that we can contribute to a better future for at least some wildlife in a number of different ways. Where I live, for example, as part of an organized statewide effort, every nesting season I monitor and keep records on the nest boxes of cavity-nesting birds such as bluebirds, swallows, house wrens and chickadees. This overpopulated state still contains a surprisingly large and diverse array of wildlife. And while the challenge is daunting to say the least, it is vital to remain hopeful and do what we can to make a difference. With an engaged citizenry, prospects will undoubtedly be better for wildlife. It may actually be a sign of better times ahead when we read that a pack of wolves returned to northern California after a 90-year absence, and that some folks are at least discussing the possible reintroduction of the grizzly bear to at least a few of the state’s wilder haunts. Back in the 19th century, naturalist and author Henry David Thoreau wrote that “in Wildness is the preservation of the world.” The truth this visionary foresaw is borne out in contemporary California. There are important vestiges of wildness even in California’s human-mobbed cities and suburbs, and we need to preserve them. When Mountain Lions are Neighbors is a resounding call to do so.